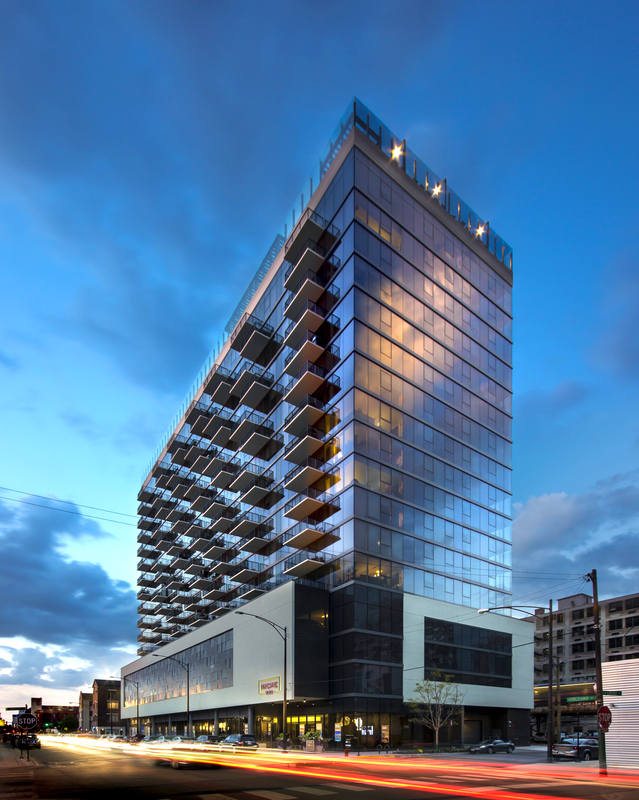 Sitting at the confluence of the rapidly-growing Milwaukee Avenue corridor, upscale River North, and trendy West Loop/Fulton Market district, River West is primed to be the next hot neighborhood. 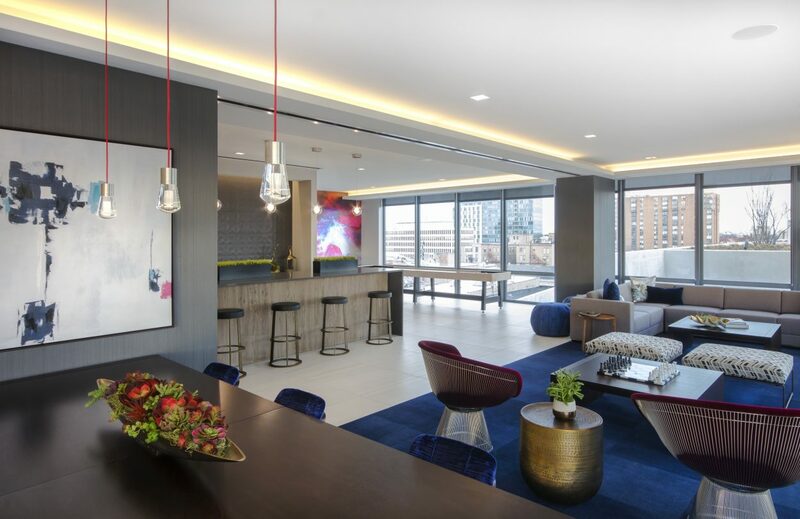 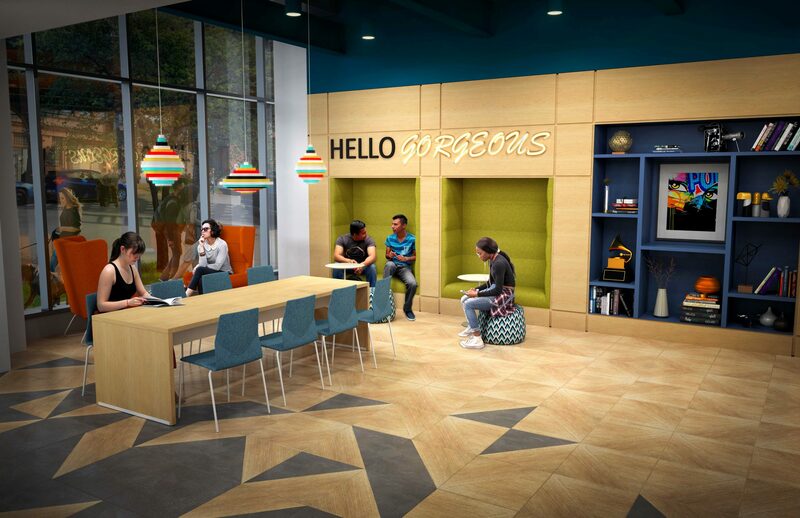 These River West Apartments are designed to attract a new clientele by drawing from the aesthetics and offerings of each neighborhood to create an unparalleled environment. 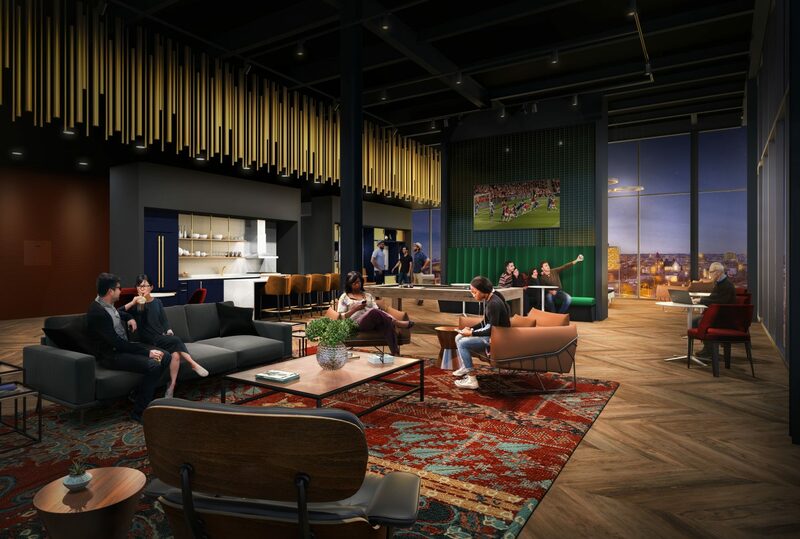 Inside the building residents and guests have access to a progressive amenities package featuring a fitness spa, work lounge, social clubroom, and amenity desk complete with an outdoor movie theater. 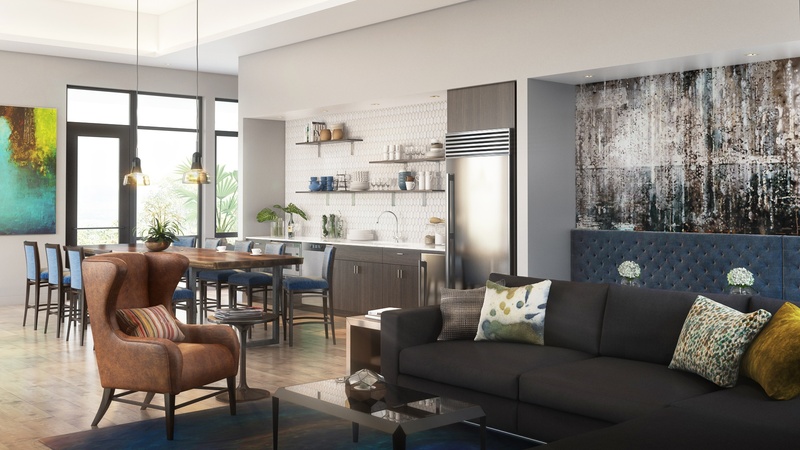 Design features speak to the dynamic urban sights found throughout the neighborhood utilizing a mix of brick and graffiti murals with refined furnishings and accessories.